This hair salon LED sign is an essential marketing tool for creating awareness of business services among a customer base. Each fixture lights up with animated bulbs to attract the attention of these customers. 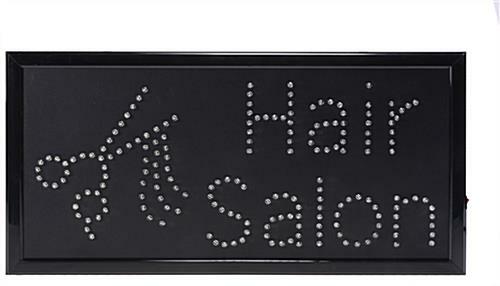 This light up hair salon LED sign is ideal for spas, barber shops, or any other business offering haircutting services. A pair of scissors illuminates on the fixture to further illustrate the services advertised. This hair salon LED sign that has scissors lights up the outline of the message using small, powerful bulbs. These bulbs are set in an open faced design that allows their light to shine as vibrantly as possible. This hair salon LED sign that is flashing is ideal for window hanging. Place this display inside a store window to protect it from weather or theft. This hanging hair salon LED sign can then illuminate prominently in the store front window! Each light up fixture arrives assembled and ready to use. 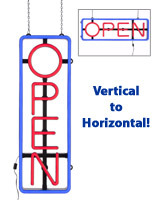 This hair salon LED sign that is window hanging requires one person to simply attach the 2 included hanging chains to the hooks on the top of the unit before hanging it in a window or on a wall. Plug in the 45” long power cord to the unit to power it for a variety of locations. This hair salon LED sign, also known as an animated window display, is light weight and easy to hang anywhere. 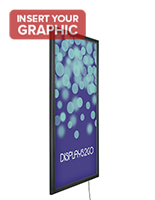 The unit is less expensive that many other marketing units while still generating substantial customer awareness! 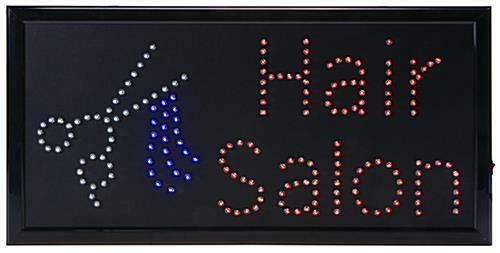 This store fixture, hair salon LED sign is a high quality light up display! 32.0" x 9.5" x 0.75"